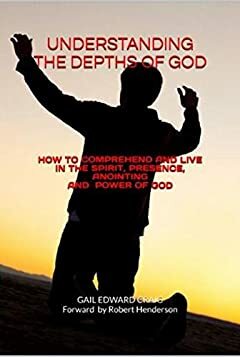 In this present generation of searching for more reality, Understanding the Depths of God will reveal the deep character of the Almighty Father. The reader will learn to live in a deeper relationship with our Lord and Savior Jesus and the Holy Spiritâ€™s Presence and Glory. These questions will be answered:*Could there be a spiritual Depth of Godâ€™s Presence that He desires to reveal which I could live in daily? *Could there be an Anointing that would rest upon me continually? *Could there be a Power of God that would demonstrate the mighty works of the Spirit through me? *Could there be a realm of Godâ€™s Glory that would focus me on the supernatural? *Could there be a realm of Godâ€™s Glory that would focus me on the supernatural?